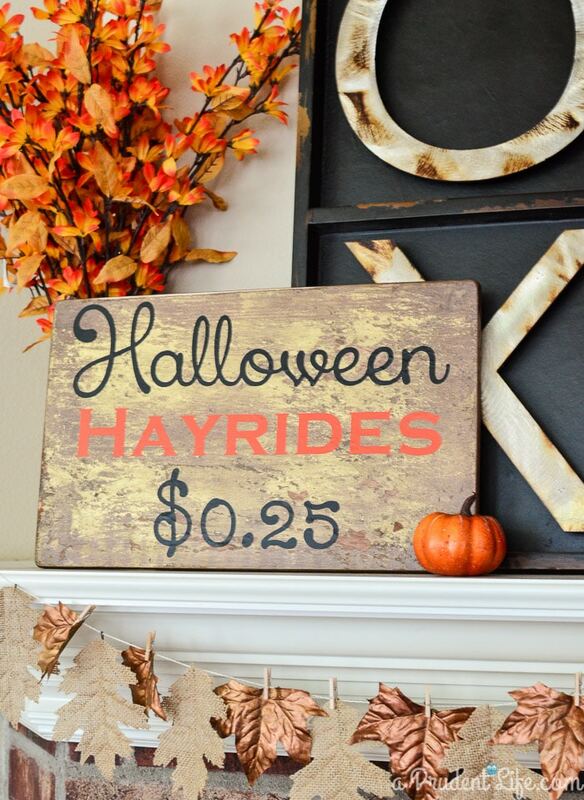 I don’t do full out decorating for Halloween, but like to incorporate a few not so scary touches, like the Halloween Hayride sign I made for my mantle a few weeks ago. 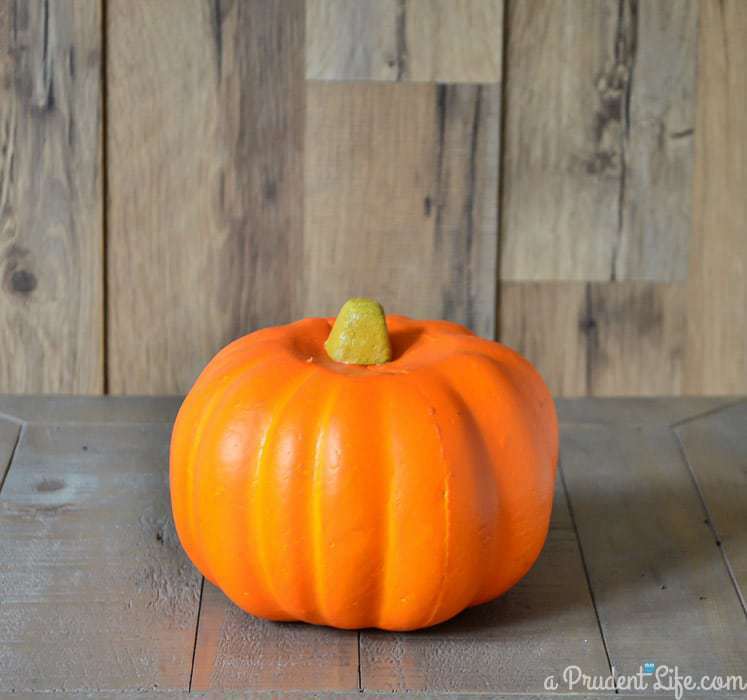 I knew I wanted to do one more Halloween project and came up with some pumpkins that look great during the day, then get really fun at night. I started with three foam Dollar Tree pumpkins. I decided to start by spray painting my pumpkins, which was risky because foam and spray paint don’t get along. The pumpkins seemed to be well coated in paint, so I though it was worth trying. Before I sprayed, I covered the stems in washi tape. 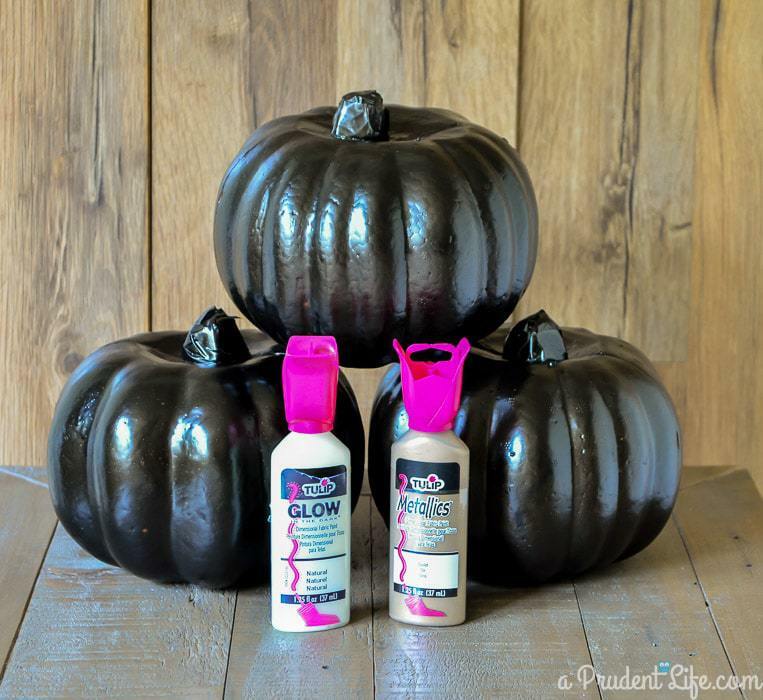 They looked more like regular foam than the body of the pumpkin and I was pretty sure the paint would eat them.
. I have this weird confidence in my ability to free-hand things with puff paint, so I didn’t bother with a stencil. I used the lines in the pumpkin as a guide, and started with my glowing paint. I applied dots of paint, leaving just enough space between each dot to go back and fill in the blanks with gold paint. It was a really quick process! When I was done with both the white and gold dots, I had a pretty darn cute pumpkin! When I finished the B, I went on to make the two O’s. They aren’t perfectly symmetrical, but we call that character around here. The black, gold, and white color scheme looks great in my mantle during the day. After it gets dark, my pumpkins get even more fun. The white glowing paint comes alive! We did stick them under a light for a minute or so to get them this bright, but wouldn’t they be great at a party? I love the leave garland!!! Those look great! 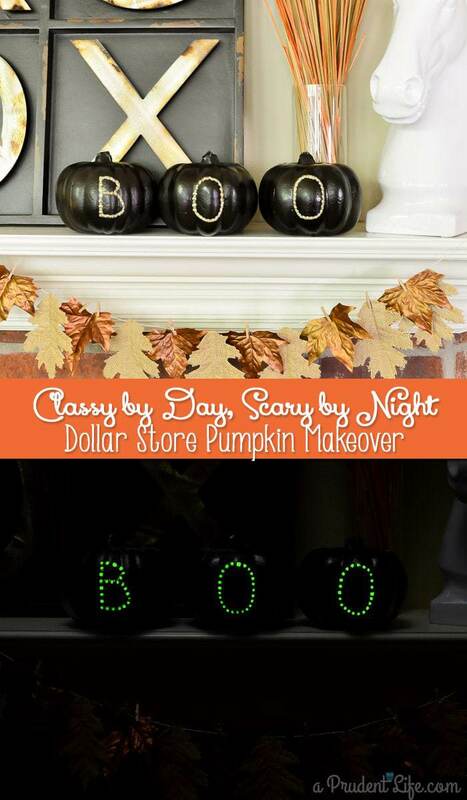 I love the Dollar Tree and I just bought those pumpkins too! Wow these turned out pretty cool! I think this would be a craft project that I could use for the kids as well. 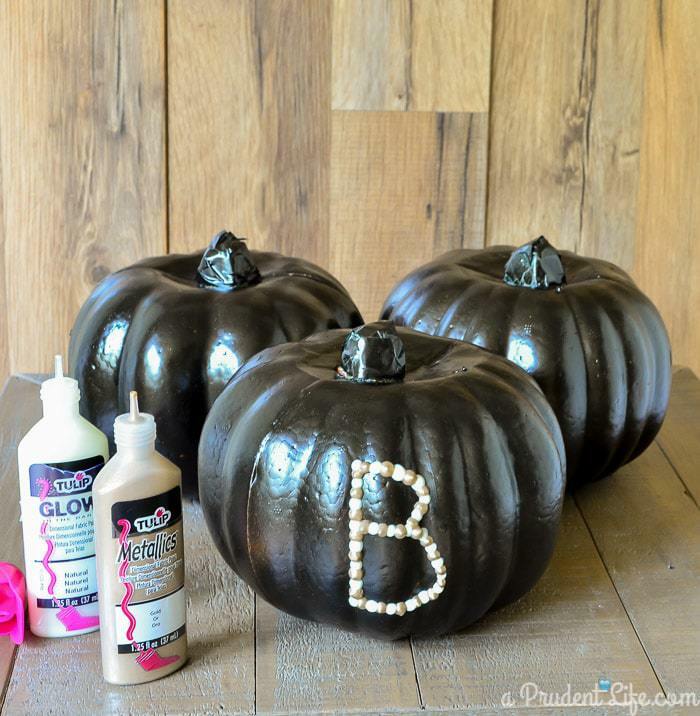 They would get a kick out the seeing their pumpkins glow in the dark. 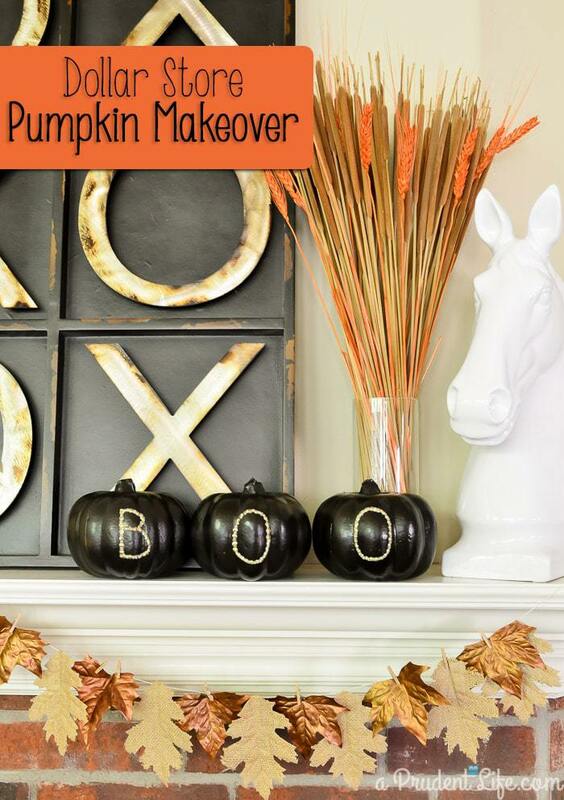 such an adorable mantel! I love simple crafts like this. I totally need to get on my dollar store crafting! 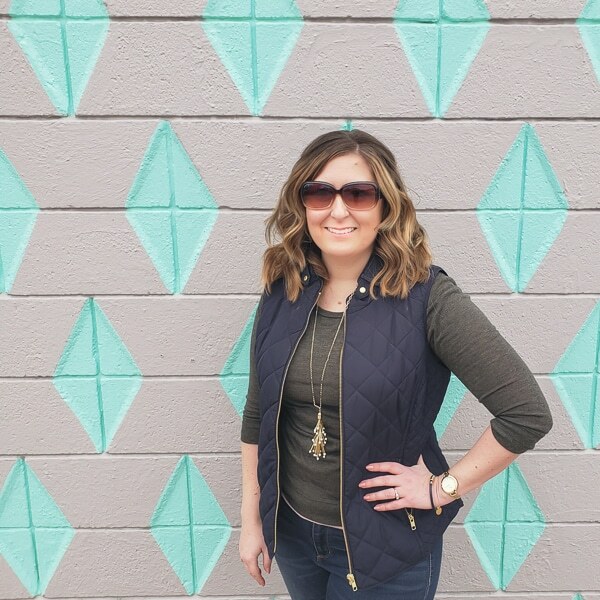 Thanks for linking up to Outside the Box! Hi Melissa! 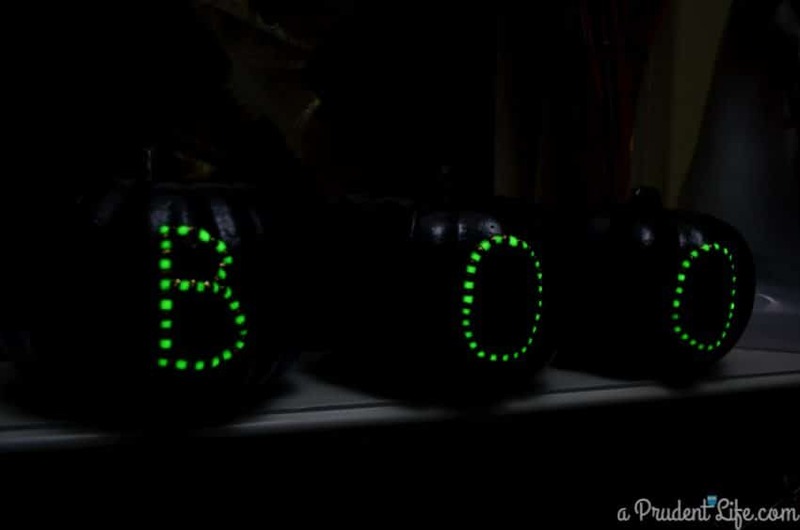 LOVE the “boo” pumpkins. 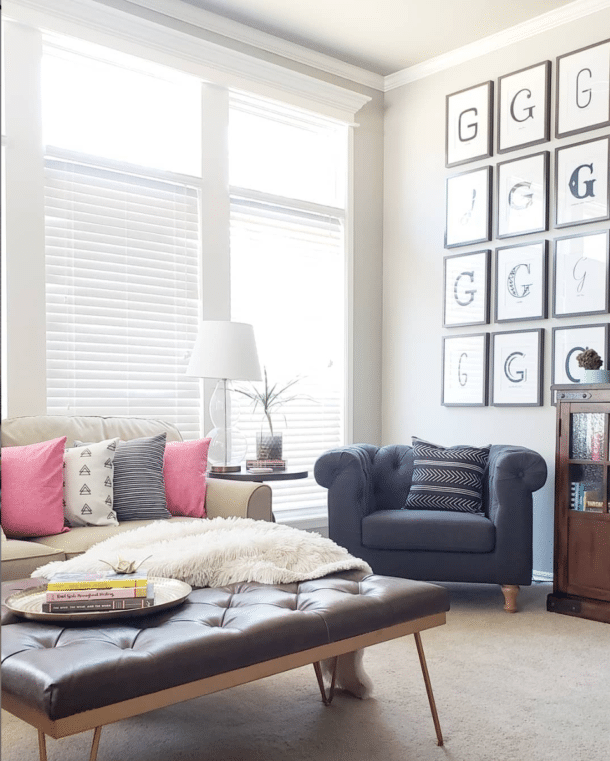 And the mantel styling is so chic!! Thanks so much Stephanie! I spent WAY too much time messing with the mantle, but I loved the way it turned out.